1. Keep Skin Clean – Wash with soap and lukewarm water twice daily (once in the morning and once before bed). Maintaining clean hands throughout the day will prevent the transfer of bacteria and when using a towel be sure to throw the towel in the wash immediately after use. 2. Be Gentle – Your skin is sensitive so wash with clean hands and be gentle. If an eruption is present be extra-gentle to avoid delaying the healing process. 3. Don’t Pop – Popping can cause inflammation, scarring and yes, more skin eruptions. If eruptions accidentally pop or pop on their own, gently wash with soap and water, but never more than twice daily. 4. Calm Down- Stress can trigger skin eruptions. 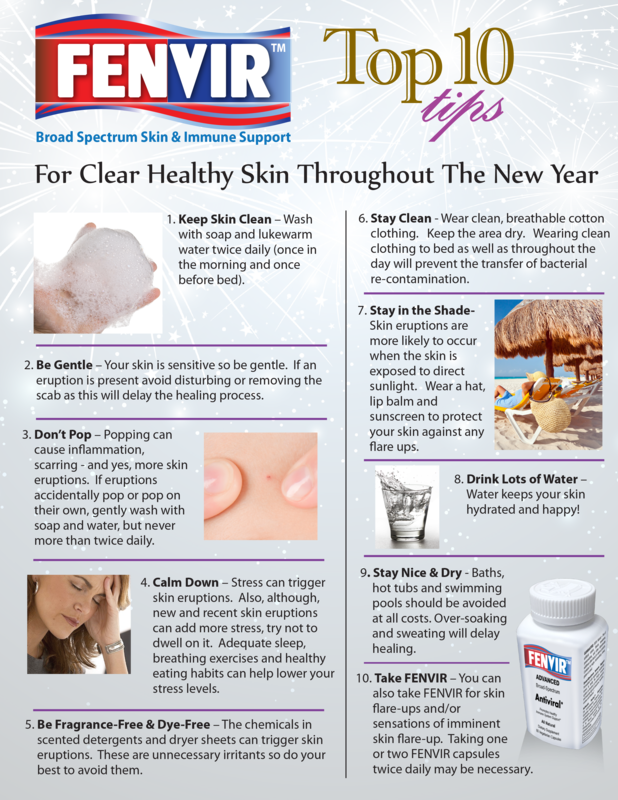 Also, although, a new and recent skin eruptions can add more stress try not to dwell on it. Adequate sleep, breathing exercises and healthy eating habits can help lower your stress levels. levels. 5. Stay Nice & Dry – Wear clean, breathable cotton clothing. Keep the area dry. Clean clothing to bed as well as throughout the day will prevent the transfer of bacterial re-contamination. 6. Be Fragrance-Free & Dye-Free – The chemicals in scented detergents and dryer sheets can trigger skin eruptions. These are unnecessary irritants so do your best to avoid them. 7. Stay in the Shade- Skin eruptions are more likely to occur when the skin is exposed to direct sunlight. Wear a hat, lip balm and sunscreen to protect your skin against any flare ups. 8. Drink Lots of Water – Water keeps your skin hydrated and happy! 9. Prevent – is best for early treatment therefore using an effective daily treatment like FENVIR will help keep skin eruptions away. 10. 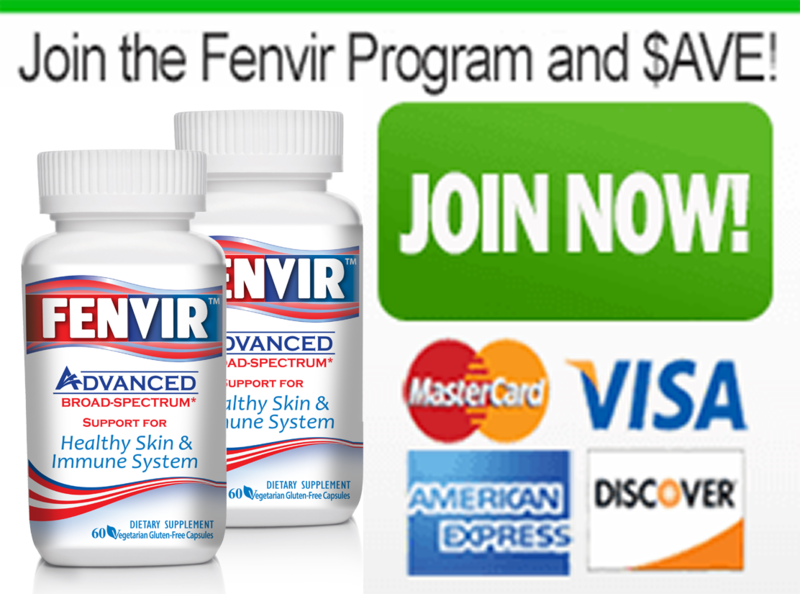 Take FENVIR – You can also take FENVIR to be used for severe skin flare-ups, problem cases and feelings of an imminent skin flare-up. 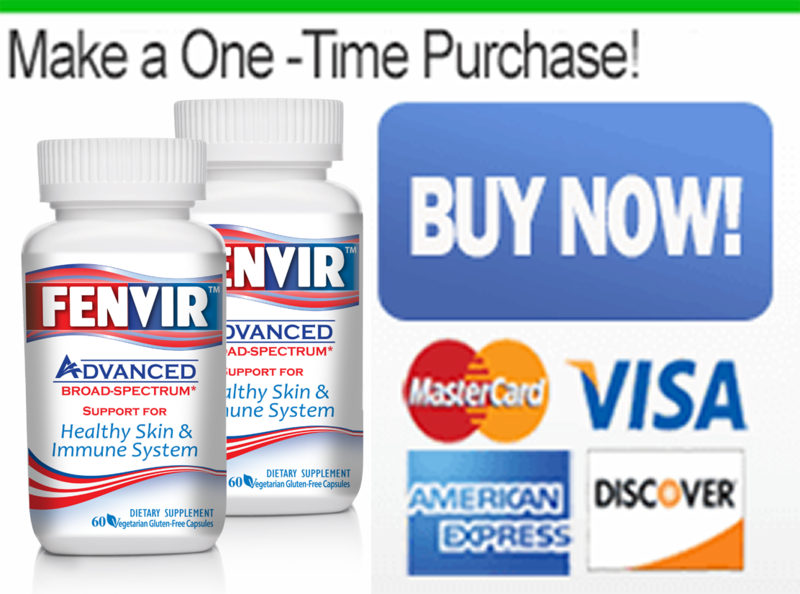 Taking two FENVIR capsules three times daily for 3-4 days may be necessary.